Dipartimento di Matematica "Guido Castelnuovo"
This is a thick, brown, leather-covered book, stippled with gold numbers. 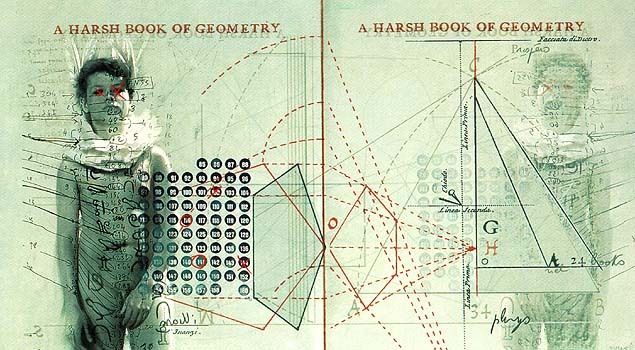 When opened, complex three-dimensional geometrical diagrams rise up out of the pages like models in a pop up book. The pages flicker with logarithmic numbers and figures. Angles are measured by needle-thin metal pendulums that swing freely, activated by magnets concealed in the thick paper.